Airparks is fenced and floodlit and has 24-hour patrols and CCTV. This car park has been awarded the Park Mark, a national security award accredited by the Association of Chief Police Officers. Before being awarded the Park Mark, car parks have to be inspected by the police. They have to have modern security measures, such as alarms and CCTV, and be clean and well-lit. Airparks has combined great customer service with the most up-to-date technology, to create the easiest and most user-friendly car park at Luton airport. The car park was modernised in 2012, so not only is it ship-shape and fantastically fresh but it's super-simple to use, thanks to its automated check-in service and attentive staff. . 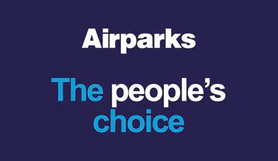 Heated and well-lit bus shelters, flight information screens, weighing machines, toilets with baby changing facilities, refreshment machines and free drinking water make Airparks Luton a cut above the rest. There is no height restriction at Airparks, but your car must fit in a normal parking space width and length ways. We recommend that you follow the directions given to get to the car park, but if you still want to use a sat nav, you should enter the full address and postcode to avoid getting lost. Pull up at the entrance barrier, which will lift after a few seconds (all cars coming into the site are recorded on CCTV). Park in one of the arrivals bays, then head into the check-in building. You check yourself in using the machines - it's a very quick process, though you'll need to have a copy of your booking confirmation with you. There's a member of staff on hand to help if you need it. The machine will give you a tag, which you should attach to your keys, and a ticket, which you should keep safe as you'll need it later. Drop your keys in the box with the same number as the lane you've parked in. Your car will be parked for you, so just head to the waiting area and hop on the bus to the airport. You'll need to show your ticket to the driver. [date from=2018-07-16 to=2018-07-29]The shuttle buses back to the car park leave from the bay R.[/date] [date from=2018-07-30 to=2018-09-11]The shuttle buses back to the car park leave from bay 4. [/date] [date from=2018-09-12 to=2100-07-29]The shuttle buses back to the car park leave from bay R.[/date] You'll need to show the ticket you were given at check-in to the driver. Make your way to the check-out shelter and follow the instructions on the key dispenser - again, it's a very quick process. The machine will give you your car key back and show you on the screen where your car is. Then just drive to the exit barrier - you'll need to insert your ticket to scan the barcode attached to your keys, and then the barrier will lift. If you lose your ticket, you'll need to go to reception, answer some security questions, then show a photo ID, so make sure you have one with you. If you return early, you will need to contact the car park directly to give them as much notice as possible. If you don't, there may be a delay before you get your car back. We can't offer you a refund for any booked parking that you don't use. At the roundabout over the motorway, take the route towards Luton and the airport. At the next roundabout (junction 10a), take the third exit onto the A1081 for St Albans/Harpenden*. Take the first right, Newlands Road, towards Slip End. Drive under the motorway and take the next left, Church Road (the B4540), which is signposted to Slip End. Drive up the hill. At the traffic lights in Slip End turn right into Grove Road. Take the first left into the service road and the entrance to Airparks Services is 100 metres further along on the right. Follow signs to reception and the arrivals area. Leave the M1 at junction eight and head towards Hemel Hempstead. Go straight across the first roundabout onto the A414. At the next roundabout take the first exit onto the A4147 towards St Albans. Go straight on along the A4147 under the M1 towards the outskirts of St Albans. At the roundabout take the first exit onto the A5183 towards Luton. Keep on the A5183 over several small roundabouts. At the roundabout next to junction nine of the M1, follow the A5 towards Dunstable. After about three miles, turn right at the traffic lights into Luton Road, the B4540. Turn left at the traffic lights into Grove Road. After approximately 100 yards, turn left into the car park entrance.